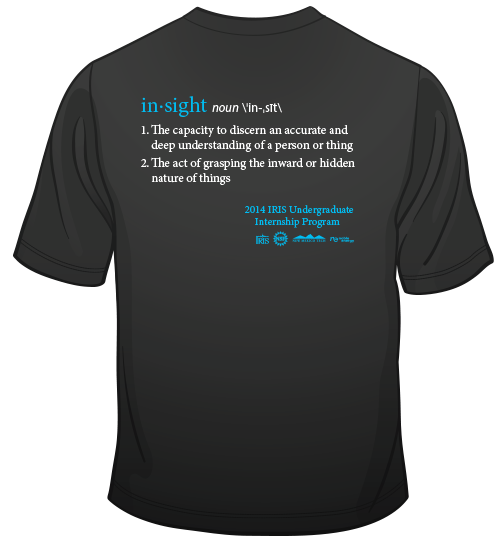 The winner of this year's alumni T-shirt design competition is Aaron Prunty (2013). After participating in the IRIS internship program, Aaron received his B.S. in Geology and Geophysics from Virginia Tech in Fall 2013. Currently, Aaron is employed as a research assistant working in computational geodynimcs at the Department of Geosciences, Virginia Tech . Aaron plans to apply to graduate programs in applied geophysics and seismology this fall. Congratulations Aaron! 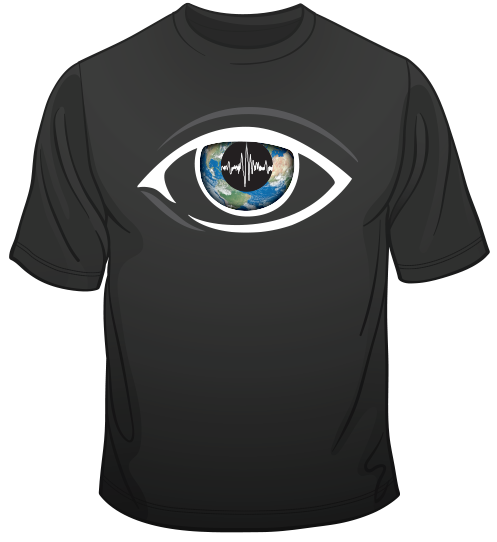 For his efforts, he will receive one of these super cool t-shirts, bragging rights at AGU, as well as an iTunes gift card! The second place winner Megan Torpey (2010) will also receive bragging rights to everyone but Aaron, plus a iTunes gift card for her entry! No time like the present to start working on your design for next year! Remember a fully developed design is not required at the time of submission. We have a great graphics artist who can take your idea and stick figure sketch and turn it into one of these outstanding designs!